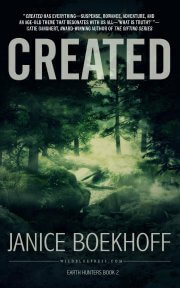 CREVICE Author Janice Boekhoff: Will the Real Lost Dutchman Please Step Up? In my novel, Crevice, I created an elaborate background for Jacob Waltz, aka The Dutchman, and his relationship to the Lost Dutchman gold mine. But how much of what I wrote is true? Who was the real Dutchman? 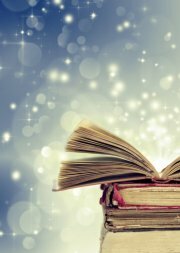 First, let me say, please do not try to find the Lost Dutchman gold mine based on my novel. Although, I did pick a physical place for the mine—a peak on the northwest side of the Millsite Canyon trail—I chose this because it was outside of Tonto National Forest, not because I think the mine is there. Having said that, if you happen to find it t here, you can mail my cut to Iowa. For over a century, treasure hunters have tried to find the mine through understanding the Dutchman himself and his movements in the late 1800s. So what do historians know about him? Jacob Waltz was a real person, but surprisingly he wasn’t Dutch. The name Dutchman arose because other people called him Deutsch (German) man. He was born in Germany somewhere between 1808 and 1810. His gravestone says 1808, but experts disagree on when, and even where, in Germany he was born. Jacob Waltz came to America as an immigrant in 1846, landing in New York. He left there and traveled through Mississippi, and probably the Arizona territory, all the way to California, where he filed papers to become a naturalized U.S. citizen in Los Angeles in 1861. In 1863, Waltz returned to the Arizona territory, staking several claims in the Bradshaw Mountains northwest of Phoenix. 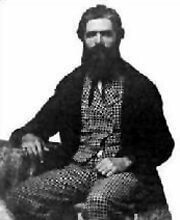 Most people believe Waltz had a partner in gold mining named Jacob Weiser (sometimes spelled Wiser), although some will dispute even this. Weiser is reported to have died unexpectedly and many stores of his death have circulated, including one in which Jacob Waltz killed him for the gold. By 1868, Waltz had settled onto a homestead with a farm on the Salt River (modern day Phoenix). 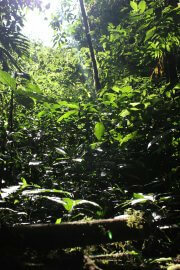 Many believe he found the gold-rich mine sometime after 1868 and before 1886. He lived there peacefully for over twenty years. In 1891, a flood destroyed his homestead. He survived by clinging to a tree for several days. When he was found, friends brought him to the home of Julia Thomas who cared for him until he died of pneumonia. On his deathbed he gave many details about how to find the lost mine, several of them contradicting each other. These are the facts, and yet, mysteries still surround the life of the Dutchman. After he died, a box of gold ore was found under his bed. If he had access to so much gold, why didn’t he flaunt it? And why conceal the location of the mine on his deathbed by giving Julia Thomas conflicting information? Unless someone unearths a long lost Dutchman diary, we will probably never know the answers. I gave one possible version of events in Crevice, but the truth is the real Dutchman is as enigmatic as the legends. 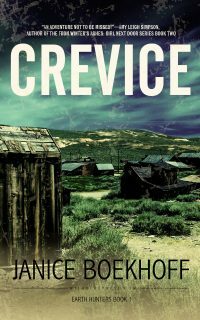 Order Your Copy of CREVICE Today!